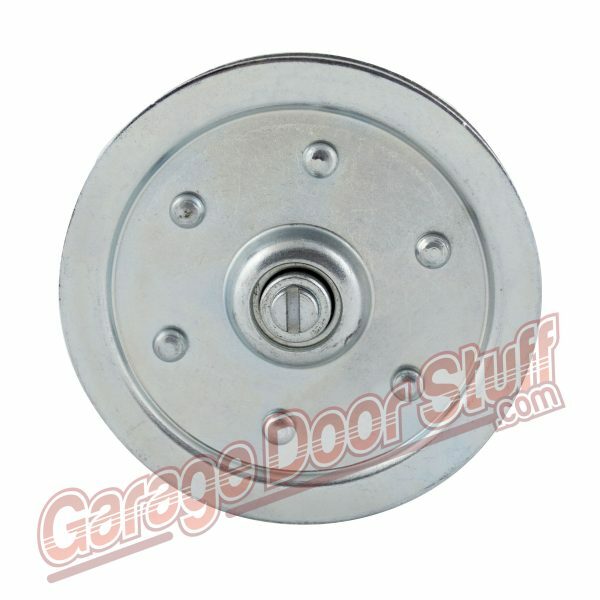 1/2″ Bolt pressed into sealed ball bearing center. Rated at 200LBS @35K 12′ tall door cycles. Comes with a pressed in place 1/2″ bolt with two nuts, nuts take a 7/8 wrench or socket. 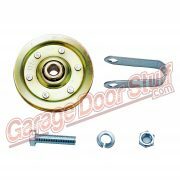 The bolt is pressed into a sealed bearing. 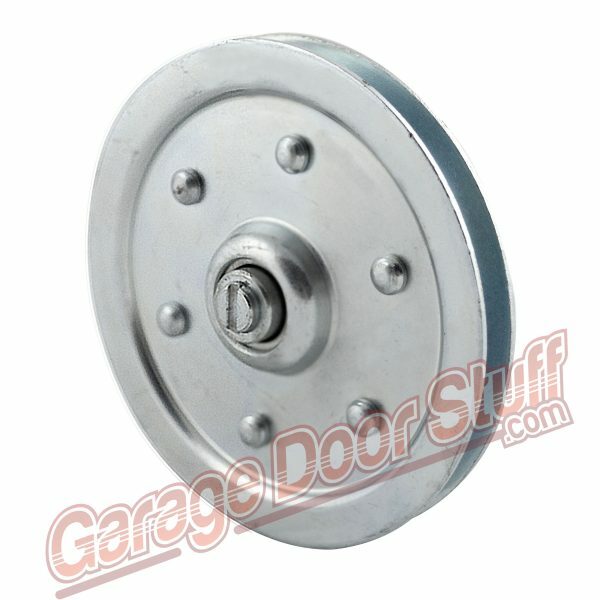 This bolt is not removable. 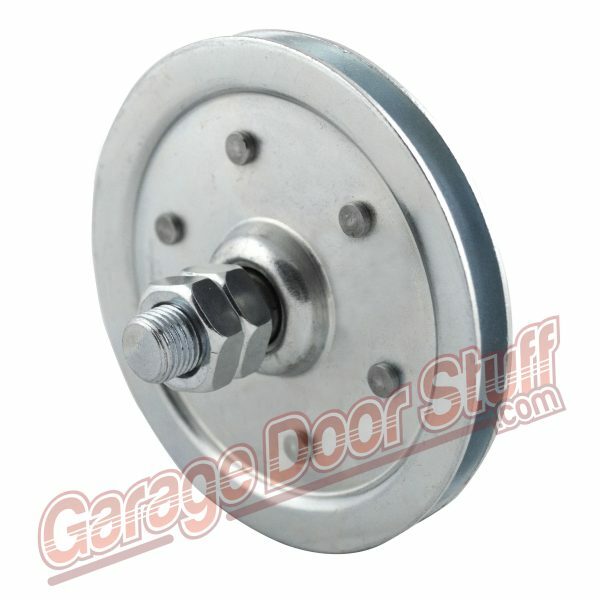 If you need a 4″ sheave w/o a fixed bolt, we carry that, click the link above. 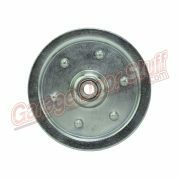 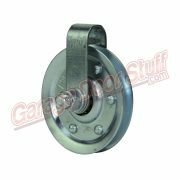 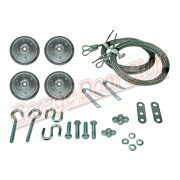 This is sheave is used as a fixed sheave in most cases, the pressed in place bolt makes it convenient for many applications where a fixed or stud pulley is needed.